The Northwood neighborhood is a diverse community with over 600 homes located just northwest of the Loop 1 (MoPac)/Parmer Lane intersection. Established in the 1970′s, this community has grown from a suburban neighborhood to an established urban community. We are neighbors with Preston Oaks, McNeil Estates, The Reserve At Northwood, and (across Parmer) Milwood and Walnut Crossing. The association meets quarterly; the next meeting has not yet been scheduled. All residents are invited to attend. The meeting will be listed here and on NextDoor. The Northwood Neighborhood Association encourages all residents to pay the annual dues. The dues pay for the website fees, membership in the Austin Neighborhood Council, the newsletter (along with ads) and neighborhood events described below. 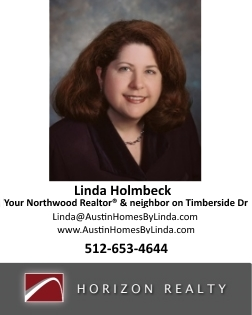 We sponsor neighborhood spring and fall garage sales, Easter Egg Hunt, July 4 parade and other events. See the events page for details. We have a bimonthly neighborhood newsletter (which accepts ads for local businesses) and a neighborhood site on NextDoor.com that all residents are encouraged to join. NextDoor members post announcements and activities (lost/found pets, recommendations for home maintenance and more) to only Northwood or also nearby neighborhoods. The City of Austin uses this to share relevant information with neighborhoods. All neighbors are strongly encouraged to join. NextDoor also has an app for Android and iPhones. We also have a public Facebook page as well as a private Facebook group only for residents of the four neighborhoods at this corner of Parmer/MoPac (Northwood, Preston Oaks, McNeil Estates and The Reserve at Northwood).